At Ethos3, we’re fans of innovation: flying cars, sliced bread, and all things presentation-related. This is why we are so excited to have landed an interview with Paul Shapiro, CEO of CustomShow – a unique piece of design software that allows people to wield the power of beautiful, easy-to-create presentations. Paul Shapiro has graciously answered some of our questions about trends in the industry. Read on to see what the future holds! 1. We’re big fans of CustomShow and we use it quite a bit here at Ethos3. For those who are not familiar with the platform, can you tell us a little bit more? Thanks! CustomShow is a presentation software that makes it easier for companies to build, customize and deliver great looking presentations. It was built out of necessity: throughout the ‘90s we were designing presentations that used lots of video, animation, and PowerPoint just wasn’t reliable or easy enough for companies to use. We had to deliver them on CD-ROMs that couldn’t be edited or easily updated. So we built our own software to do it! CustomShow lets designers and marketers build an updatable Library of great-looking, branded slides that salespeople can easily drag and drop to create their customized presentations. Most importantly, it let presenters reliably present without having to give up all that great video content. We’re big believers in the power of video and want to make sure that every presenter has the opportunity to deliver the most engaging presentation possible. And once we built the CustomShow Cloud platform, we realized that there were all kinds of other useful things it could do to make presenters, designers and marketers jobs easier—like global updates, real-time collaboration, viewing and usage metrics and Web Meetings with streaming HD video. 2. You’ve been working in the area of design and presentations for 15+ years. Can you tell us what you think has been the biggest industry change over the last 5 years? There have been so many changes over the last 15 years that it’s almost hard to imagine how we did anything back then. But the two biggest changes in the presentation industry that I’ve seen have to be the use of tablet computers like iPads and the explosion of video content. The iPad has fundamentally changed what it means to give a presentation by letting presenters, whether they’re a salesperson, an entrepreneur or a thought leader, present anywhere. The days of having to set up a computer in a conference room, bring a projector and give a formal boardroom presentation are gone. Some of the most effective presentations today are conversation starters over coffee, impromptu pitches in hallways or interactive training presentations on the showroom floor. Presentations can now take place anywhere, and that has expanded the definition of what a presentation is. Presentation designers can now almost literally think “outside the box” and think about new ways of designing, building and delivering presentations thanks to the ever-expanding list of tablet computers being used today. Video has always been a great presentation tool to engage an audience and deliver a message, but video used to mean professionally produced sizzle reels or talking heads that cost a lot and took a lot of time. But with the explosion of video content being produced for every medium and platform, by everyone from big brand marketing teams to teenagers on Vine, that presenters both have more available than ever before AND audiences now expect to see video whenever they consume information. So adding video into a presentation is now easier and more important than ever. Corporate marketing teams now routinely produce the same quality video for their sales presentations that they do for their TV commercials or their website. And individual presenters now have a wide range of video tools, from their iPhone camera and iMovie to stock video sites like iStockphoto, to incorporate video into their own storytelling. 3. There are a lot of emerging new platforms out there like Haiku Deck and Canva. What do you think is the future for presentations? First, the future of presentations will be that presentations will stop looking like “presentations” and will just look like all the other media and content that audiences consume. Presentations will be just as engaging and compelling as TV commercials, documentary videos or interactive video games. The multitude of presentation options, and the demands of capturing an increasingly media-saturated audience, will make every presentation designer a presentation “producer.” And that’s great news for everyone who’s going to have to sit through presentations in the years ahead! Second, the future of presentation software will be something for everyone and for every presentation. Tools like Haiku Deck, Prezi, Canva, Slide Bureau and even CustomShow, all let presenters build a different kind of presentation. Presenters now have the luxury of picking just the right presentation tool for the presentation they’re trying to create and the problem they’re trying to solve. If you have a great story but are lacking in the design department, there’s a tool out there to help you quickly put together a beautiful presentation quickly. If you have great design and a strong brand but are lack the structure and organization to effectively use all those assets, there’s a tool for you. And if you have a great idea but need help turning it into a narrative presentation, there’s a platform to help. 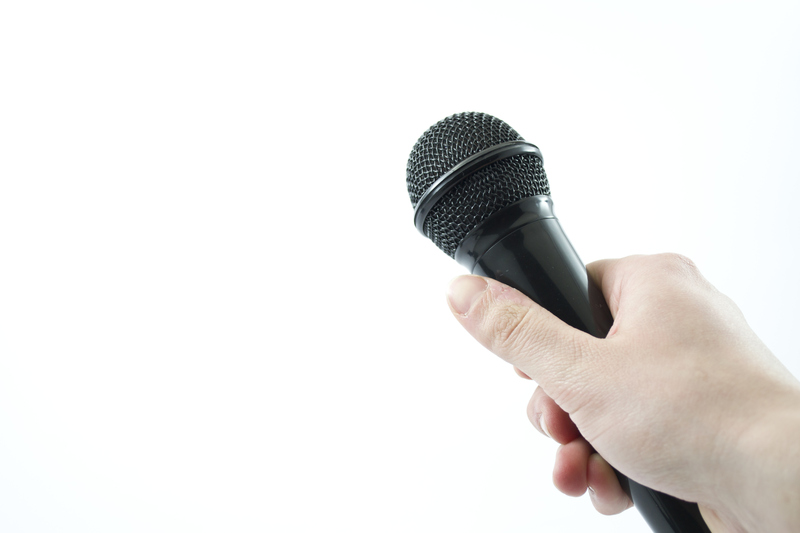 Whatever your weak spot is as a presenter, there’s a tool that will fill in that gap. So from where I sit, it looks like the future of presentations will be filled with beautiful, engaging well-made presentations that are consistently well-structured, well-designed and well-delivered. It’s probably the most exciting time to be in the presentation industry! 4. You have obviously seen your fair share of presentations as CEO of a presentation company. Who do you think is doing it right (can be an organization or individual)? The two that come to mind are CustomShow’s clients and Ethos3! But in all honesty, what I’m seeing is that the level of presentations have improved dramatically across the board over the last several years thanks mainly to an increased awareness in what a good presentation can be. The commercialization of TED talks, the work of all the presentation design though-leaders like Ethos3, Garr Reynolds and the explosion of design tools and platforms have all worked to raise the quality of presentations everywhere. Now that “Death by PowerPoint” is a mainstream idea and no longer just the cry of presentation professionals, sales and marketing teams everywhere are taking presentations seriously and striving to deliver clear, concise and visually compelling presentations. 5. What’s the next big thing on your to-do list in regards to presentations? For us, we’re always looking for the next thing that going to make the biggest impact on how presenters do their job. For the people who make and give presentations for a living, what’s going make their jobs easier and their efforts more impactful? For our CustomShow clients, right now that’s more and better information about what’s happening in the meeting. What content is most effective? What presentations are having the greatest impact on our audience? Companies have been doing this type of analysis on all of their other marketing channels, from TV to websites to outdoor to print, but it’s always been difficult to get information from what happens in the room between the salesperson and the client. CustomShow has the unique ability to be in the room and accurately report back on what happened to help both marketers and presenters. Marketers need to know what content is being shown, which presentations lead to deals, and who’s customizing what content. Presenters need to know what slides they’re rushing and where they’re need to take more time. I see that presentations are finally being taken as seriously as the other forms of corporate communication, and so they need to be measured and optimized in the same way other marketing investments are. We want to thank Paul Shapiro for taking the time to answer our questions. Paul is the CEO of CustomShow, a presentation software for enterprises, designers, marketers, and sales professionals. CustomShow is the result of bringing together design, management and the latest Cloud-based technologies. Paul received his M.B.A. with Distinction from NYU, where he was the recipient of the Harold Price Award for Entrepreneurship. His prior experience was at JP Morgan, Bear Stearns and advertising start-up togglethis. Check back for more great interviews with industry thought leaders!